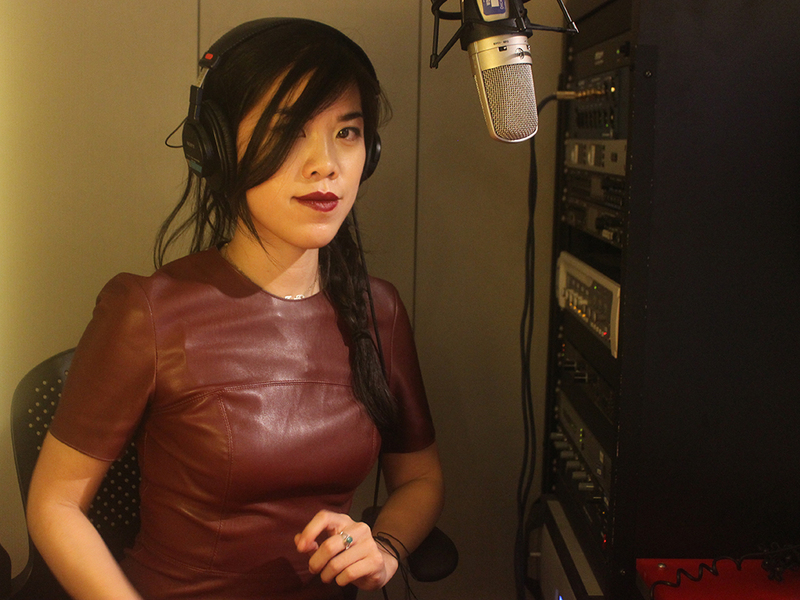 This American Life producer Stephanie Foo is dismayed by all subpar storytelling, but especially that which can be attributed to the lack of diversity in public media workplaces. “I just hear so often stories about people of color that are just coasting — coasting!” she told me on The Pub, calling out stories that rely on exoticizing their subjects to generate interest. “Like, ‘Maybe if I throw in enough saffron and bright colors and, like, bells on sarees, this will be interesting.’ No! There needs to be a problem, there needs to be a conflict,” she said. This week on The Pub, Foo talks about her frank and funny manifesto for Transom, “What To Do If Your Workplace Is Too White,” and offers examples of how reporters of any identity can tell better stories about people of color. We’re at the dawn of a glorious new era! I talk about exciting emerging technologies for recording high-quality remote interviews, from VoLTE to Ringr, while NPR chief audio engineer Shawn Fox predicts the death of ISDN and its replacement. What the backlash to a PBS NewsHour story about charter schools and the backlash to the New York Times’ exposé about Amazon.com have in common. Michelle Srbinovich and Emily Martin Loya discuss the challenges they’ve faced as younger leaders and share advice for peers looking to move up. I have a suggestion that might increase all kinds of diversity. Public radio could create a variety of online streams for a “minor league” of shows that could allow people to learn how to produce quality shows. The hosts could even set up IRC chat rooms to allow the audience to provide instantaneous feedback. The big established shows could even benefit from a chat room. This shows topic reminded me on the show you did about recruiting conservative hosts. Perhaps public radio isn’t really interested in diversity at all. Why did NPR fire Juan Williams for his comments, and not fire Nina Totenburg? I have to agree that Car Talk needs to give up its time slot for a new show. How much longer are these zombie shows going to air? Which Totenberg comment are you referring to? Yeah, I mean, I think public radio already has farm teams: the stations. Unfortunately, too many stations don’t function that way, they mostly function as local distributors of national content. Sure, most stations have always had some local shows, but mounting research shows that audiences won’t tolerate content that isn’t produced to the same (very high) standard, so it’s tough for a station to allow much experimentation and remain viable. That’s one of the reasons I’m not sanguine about the longterm fate of most stations. I think podcasting is accomplishing some of the things you’re after, though only partially within public media. I have little insider knowledge of the Juan Williams affair, but based on some published comments from the time and my own educated intuition, I don’t think he was fired for his comments. He was fired because he was bad at his job, a situation that was exacerbated by his habit of going on Fox and saying ill-considered things. The comment about Muslims on planes wasn’t an unforgivable offense, it was the straw that broke the camel’s back, and the NPR management at the time (none of whom are left) did a bad job communicating that. Nina Totenburg has made some ill-considered remarks as well, but she’s amazing at her job and everyone who works with her loves her. That rightly counts for something. I’m not so worried about Car Talk itself sticking around, I’m worried about the precedent it sets. As more shows that are loved by the baby boomer core audience start to shut down, public radio could turn into a nostalgia factory if it’s not careful. That hasn’t worked for public TV. I already find that “nostalgia factory” mindset at work on those public radio stations that continue to do old time radio shows, which outside of some unquestionable classics (like Jack Benny and Fred Allen’s shows) is, once you get the cloud of nostalgia out of the way, even more banal than your typical reality show, laugh track sitcom or procedural of today’s TV. I will probably anger a lot of Boomers and Greatest Generationists by saying this, but WAMU should’ve retired “The Big Broadcast” with Ed Walker’s retirement (and his death hours after the final broadcast). And any other pubradio stations out there that still do OTR should really be rethinking it (even if it means having to withstand angry listeners threatening to pull their pledges). Isn’t paying for prioritization for public radio bandwidth against FCC Net Neutrality rules? No, dedicated Internet is a totally different thing. ISPs can charge consumers all they want for faster or more reliable service. Net neutrality forbids ISPs from charging the providers of Internet services (Netflix, for example) more money than others to reach consumers through the Internet. The idea is that you want consumers to pick the winners, not the gatekeepers. Thank you Stephanie Foo @imontheradio @aragusea @PubPodcast for the honest, smart, necessary convo starting at 35:08. If public media doesn’t embrace the current reality — that our audiences are younger and more diverse than ever before — can public media even have a future at all? The idea that one day PBS and NPR could disappear is quite horrifying to me. But how can public media survive if it doesn’t evolve and speak to/engage …. the public?